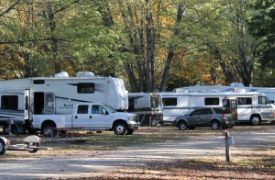 Recreational Vehicle Insurance in Hendersonville Tennessee - Covenant Insurance Agency, LLC. As your Independent Insurance Agency in Hendersonville Tennessee, we have connections with some of the top rated insurance companies which allows us to find competitive rates and the right coverage for your toys. Contact us to find out more about recreational vehicle insurance in Hendersonville, Tennessee including the Brentwood, Gallatin, Goodlettsville, Nashville, and Old Hickory areas.